This is the long-awaited 17th spin around the Hot 100 pole, only this year is bigger, better and YOUNGER than ever. 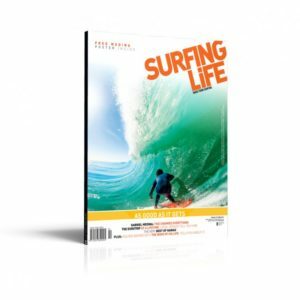 The Hot 100 has always been about breaking Australian surfing talent. 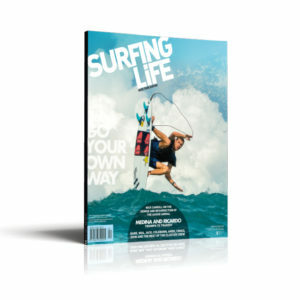 Since ’98 it’s been our chance to dedicate an entire magazine to the surf rats that we may not yet entirely familiar with. 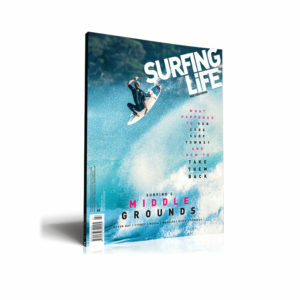 Over the years we’ve introduced you to Mick Fanning and Joel Parkinson, Owen Wright, Jack Freestone, Julian Wilson, Matt Wilkinson, Dion Agius, Yadin Nicol amongst many others. For all these surfers the Hot 100 cut-off age was always under-21, but we figured that in 2014 21-year-old surfers are already superstars, so we dropped the age to 18. It was a gamble. I mean, we were depriving the Hot 100 of three years’ surfing experience, a formative three years when boys become older boys, or young men, or whatever. But far from underperforming, the current crop of 18-and-unders do what the 21-year-olds would have done and then some. They’re not as refined, but they’re hungrier. They don’t yet have their adult bodies, but they compensate with enthusiasm. The Hot 100 hasn’t suffered from this lowering of the age bar – the guys and gals of 2014 have made this Hot 100 the best one yet. The guts of the magazine and DVD are from a trip we took with Luke Hynd, Jackson Coffey, Harry Bryant, Kai Hing, Jacko Baker and Sheldon Simkus to the Mentawais. The waves didn’t drop under four-foot the whole time and the groms performed out of their teenage hides, pushing themselves and each other to un-before-seen highs of technical surfing and hard charging. There wasn’t a surf where some or all of them didn’t come in with an assortment of coral tattoos and reef rashes, not one session where someone didn’t elicit the mad hoots of their compatriots due to some as-yet un-nailed manoeuvre. The 2014 Hot 100 features in-depth interviews with the six juniors on the trip, as well as the guys who couldn’t make it – Jack Robinson, Kalani Ball, Mikey Wright and Jacob Wilcox. 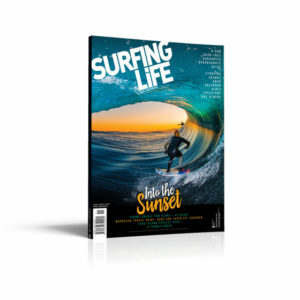 We also caught up with the best two gals, Holly Coffey and Holly Wawn, plus around 100 other junior surfers whose names are etched in this magazine. 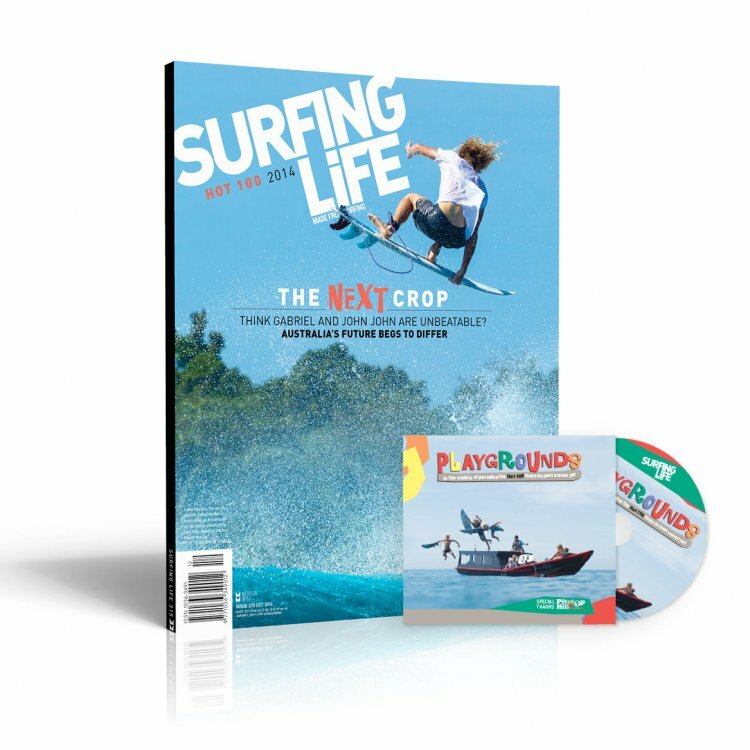 Oh, and there’s a great DVD of the trip mounted on the front, and a Billabong sticker pack so you can grom out hard on your surfboard, mum’s car, boyfriend’s face, whatever. Australian junior surfing is the best in the world, and this is its greatest showcase.